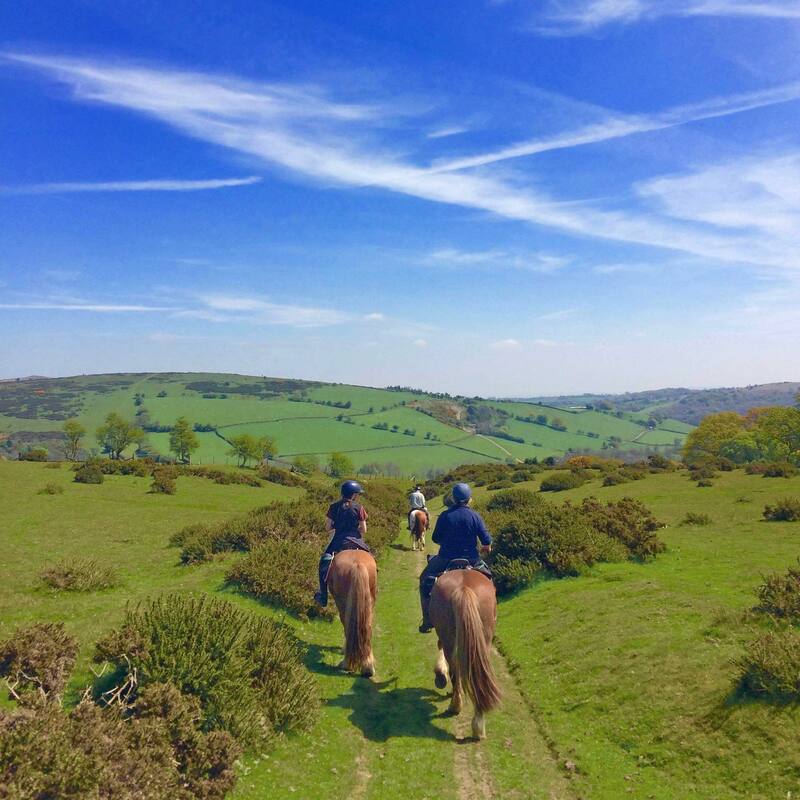 Fifty miles trail riding through the hills with super routes, stopovers & scenery. 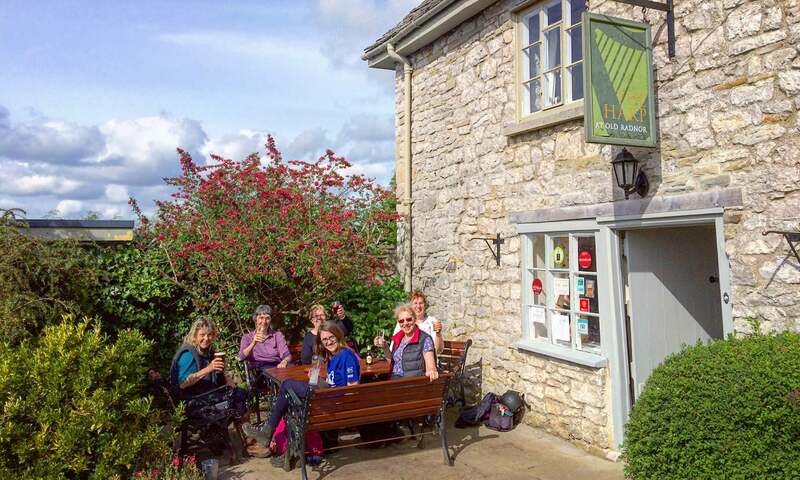 We all look forward to welcoming you on The Guided Silver John Trail. 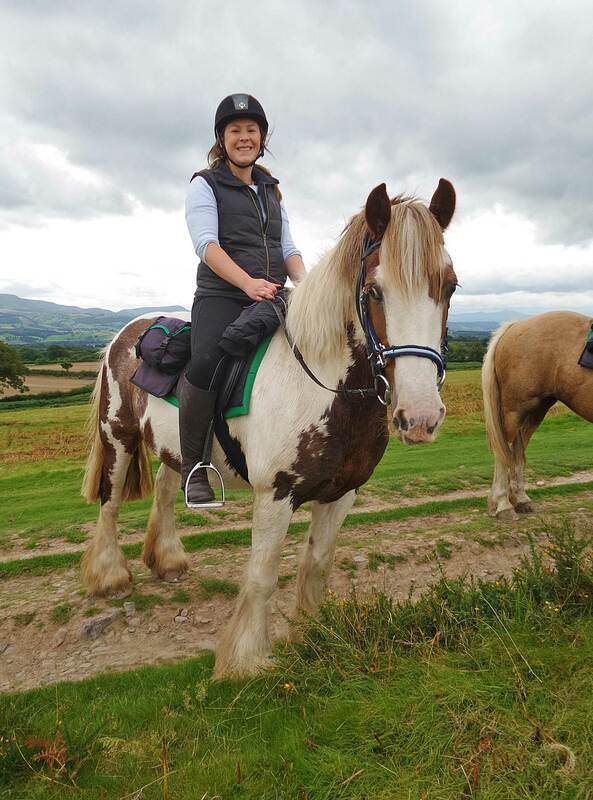 Arrive at Freerein HQ for 9am to meet fellow riders, your guide and horses. The Silver John riding holiday overnight stop overs are usually Roast Ox, Bracken Ridge & Harp Inn. All are good sociable places to spend the night with the horses near at hand. Please note that when guided trails stay at the Roast Ox Inn, the horses stay a couple of miles away. Transfer to and from the horses field is by road. You can either join this ride on set dates or you can hire your own guide. If you hire your own guide, you can start & finish on any days and dates throughout our season. Even after a day in the saddle looking out across Wales you will be struck by the view from the Harp Inn perched above and looking down the Radnor Valley. This is especially so when the weather is fine and one can sit outside and take in the scene. The Harp Inn describes itself as a traditional pub with accommodation and restaurant – and it is. Oak beams, roaring log fire and antique settles. It is a 500 year old Welsh longhouse and one can imagine that the bar has changed little since it was first built but the cosy upstairs bedrooms are now en suite. The carefully selected and well kept cask ales in the bar and the unpretentious restaurant serving locally sourced produce have generated a strong following from both near and far. We continue to have glowing reports from all riders. On arrival each evening riders feed, groom and turn out their horses then perhaps take a drink at the bar whilst perusing the evening menu. There is a maximum riding group of 8 riders on this riding holiday. Prices quoted are based on riders sharing twin rooms although single rooms are available. A challenging and exciting way to spend a long weekend. Arrive at Freerein HQ at 9am. Meet fellow riders and guide. Pack your saddle bags then prepare your horses (guide on hand to explain anything you are unsure of). Tea and see your route for the day, depart Freerein. Out on trail all day to the Roast Ox Inn or the Fforest Inn. Arrive, untack, feed & turn your horses out in the field. Enjoy a relaxed evening at the Inn. Feed, groom and tack up your horse. Out on trail all day to Old Radnor. Relax for the evening staying at either the Harp Inn or Bracken Ridge B&B. Feed, groom and tack up your horse. Out on trail all day. Return all the way to Freerein HQ around 4pm for tea and homemade cake.